Belize is one of the more expensive Central American countries along with Costa Rica and Panama. Like any touristy area, there is a high and a low season with prices to match. Lindsay and I traveled to Belize during the “shoulder” season between high and low season. Low season usually begins when the rainy season starts in Central America around May and June. So, how much does a vacation in Belize cost? Lindsay and I both did a lot of research online and in her Lonely Planet guidebook prior to leaving the states for our vacation. We created a rough itinerary and budget of our trip in Belize and Guatemala. We both agreed that we would rather stay at hostels and travel by bus to save money for more fun things like snorkeling and cave tubing. Based on the research I did, I decided my budget would be about $1500 (including airfare). Excluding the cost of airfare, that would put me at less than $100 a day budget for housing, food, and fun. Secretly, I would have liked to spend closer to $60-70 a day, but since this was my first real vacation in 5 years, I was okay spending a little more money on fun! Before leaving for Belize, I took out $325 in cash for the trip based on my experience in Costa Rica and Nicaragua in 2011. This was my big mistake. I forgot that the cost of transportation and lodging was pre-paid prior to my trip and the only things I needed to pay for was food and fun activities. Not the case for Belize. I only paid for my plane ticket prior to leaving. I brought my credit card (with no foreign transaction fees!) with me in case of emergencies or if I just wanted to pay with my card. 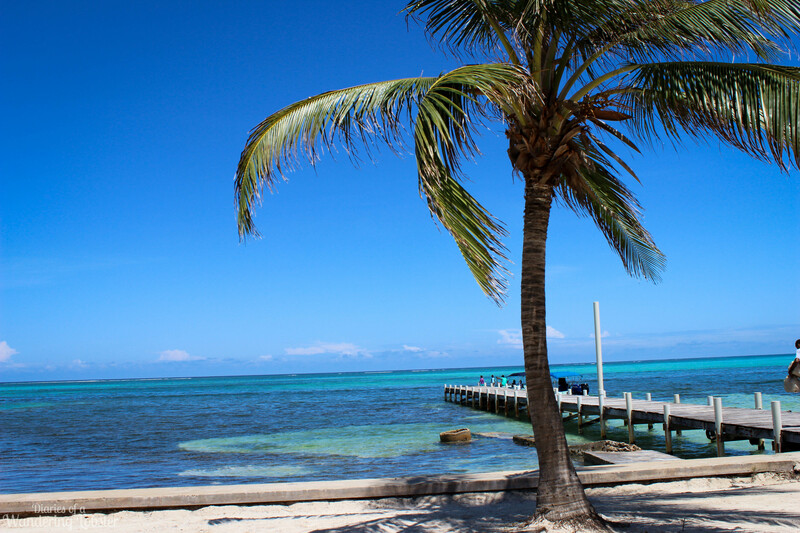 The beauty with Belize is that they almost universally accept US dollars. Belize does have its own currency, the Belizean dollar, but it seems they almost prefer US dollars. The exchange rate is essentially $1 USD = $2 BZ. Guatemala is a little different. Guatemala has its own currency, the quetzal. Guatemala does seem to accept USD for payments, but not in all locations. Thus it’s good to have some quetzals on you, especially if you travel to Tikal. Tikal only accepts payment in quetzals. When exchanging USD in Guatemala, your bills must be in excellent shape (i.e., no tears, newer years) or else most people or banks won’t take it. It’s highly annoying, especially since all the bills I had came from my American bank. The exchange rate in Guatemala is roughly $1 USD = $7 GTQ. I found Guatemala to be cheap. Our hostel in Flores, the Los Amigos Hostel, was only $9 a night and a filling dinner with two drinks cost me a whopping $12. The hostels in Belize were on par with prices in other Central American countries, but I found the cost of food to be similar to places in the US. But, perhaps I just don’t eat at expensive places in the US…. As you can see, I went almost $300 over my budget. Why? Part of it was poor planning on my side. I was forced to take a cash advance on my credit card three times because I ran out of cash! Like I stated above, I did not plan for hostel/hotel and transportation costs when I withdrew cash from my bank. It was a very stupid mistake on my behalf because I racked up $30 in ATM fees for that move. Grr… oh well, you live and you learn! The most expensive category of this trip was transportation, especially since I included the price of my plane ticket in this expense breakdown. Flying to Belize is not cheap. Belize has one international airport and only a few US flights fly into it on a daily basis. Flights to Belize leave from Miami, Atlanta, and Houston (there may be one more airport, I can’t remember). Plane tickets generally range from around $650-$1000+ depending on when you fly and where you fly from. If I was to do this trip again, I would probably fly into Cancun (generally way cheaper!) and take the overnight bus down from Cancun to Belize City for about $40. Originally I was thinking Lindsay and I would go to Tikal with a tour group, but then we discovered we could do it cheaper on our own. I don’t regret splurging a bit on a night at Tikal Inn because it was a very memorable experience (plus the cost included an excellent dinner and breakfast). However, we could have saved a lot more on our bus transportation. We took the express bus from Belize City to Flores, Guatemala for $27. We could have taken the local bus system for a fraction of that price, but it would have taken closer to 7+ hours than the 5 hours it took on the express bus. We also could have saved a ton of money on our transportation from Flores to Tikal and then Tikal to the border of Belize. Lindsay and I had trouble finding and then interpreting the bus schedule from Flores to Tikal. We could have taken the local chicken buses, but we couldn’t find the schedule. The main reason we chose not to take the local buses was because we had to meet our cave tubing guide in Belmopan at 3pm. If I was to do this trip again, I would utilize the local bus system to save between $45 and $50. Lesson learned! As I mentioned above, I found the food in Belize to be of similar prices to the US (maybe a little cheaper). Caye Caulker is definitely cheaper than San Pedro. In retrospect I wish we ate at more local places compared to the touristy places and/or street vendors to save a few dollars. I didn’t really spend much on alcohol because I don’t drink much at all. All in all, I’m content with what I spent in Belize and Guatemala. I definitely know now where I can save money for future references. And next time, I will bring more cash and my debit card! 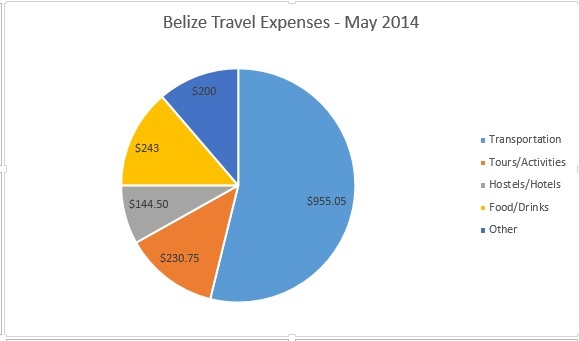 How much did your vacation in Belize cost? Great post! I like how to broke down your expenses and explain your mistakes. Thinking of combining Belize, Mexico and Guatemala. Not sure yet. I’ve met a lot of travelers who have done that. It’s often cheaper to fly into Cancun and bus it down to Belize and Guatemala. Belize is definitely a bit more expensive than Guatemala and Mexico, but it’s worth the visit, especially if you like the island life and the sun. Was that a $27 bus drive from portland oregon to boston MA? No, from Portland, Maine. I would say a bus from Portland, Oregon to Boston would cost a lot more, unfortunately. Thank so much for your critical and honest breakdown in expenses. I’m usually one to take far more than I need, but you have provided great insights to get a rough estimate based on what you think you’ll will (and did) spend your money on. Thanks again for a great post! I’d like to travel Central America too. I knew Costa Rica was expensive, but I didn’t know Belize and Panama were up there too. I went to Mexico for the first time recently. I found Mexico City, especially the taxis, to be a bit pricy. But the rural parts of Mexico were quite cheap. I’d like to visit the cheaper countries like Guatamala, Nicaragua or Honduras, but I’m not sure how safe they are. Overall, Central America is much cheaper than Western Europe and Australia, but it certainly does have some more expensive countries. I loved Nicaragua. It had a very similar vibe as Costa Rica, just at a fraction of the price. Guatemala is one of my favorite countries and also very cheap. Safetywise, I found it quite safe as long as I followed normal safety precautions like I would anywhere else in the world. If anything, it’s more annoying catcalls from men. Enjoy your travels!